What most users do after jailbreaking their iOS devices is to look for best Cydia tweaks for screen recording. There are many working Cydia tweaks for screen recording that have their own compatibilities and incompatibilities. Users have been lately requesting for a comprehensive list of best Cydia Tweaks for Screen Recording. Let’s not waste any time and jump right to the list of Best Cydia tweaks for screen recording on your iOS devices. This is one of the best and the most popular Cydia tweak for recording screen of iOS devices. Display Recorder has so many remarkable features to offer but it is a paid tweaks. It is developed by Ryan Petrich and you can buy it from Big Boss repo and install it right away. This tweak is compatible with iOS 9 and iOS 10 as well but it does pose a problem while saving your recordings. Your recordings are not saved in stock Photos app. On the other hand you get to see the message: “Save Failed! Unable to save video to camera roll” However, of note is the fact that the developer is working on this tweak and soon this Cydia tweak for screen recording will be fully functional for iOS 9 and 10. We covered AirShou and its screen recording capabilities in a separate post already but it deserves to be on the list of best Cydia tweaks for screen recording your iOS devices. This tweak is a product of Shout.tv that provides broadcasting service for gamers. So AirShou has a dual benefit for users. For one it allows you to record your iOS screen easily. You can record games or whatever else you want to capture from your screen and then you can broadcast them to your audience on Shou.tv. Another thing worth mentioning is that you can use AirShou on both jailbroken as well as non-jailbroken iOS devices. Although compatible with iOS 9, some of you might experience a little malfunction. Some users report that when they tap the Record button on their iOS 9 device, AirShou makes the iPhone or iPad restart. 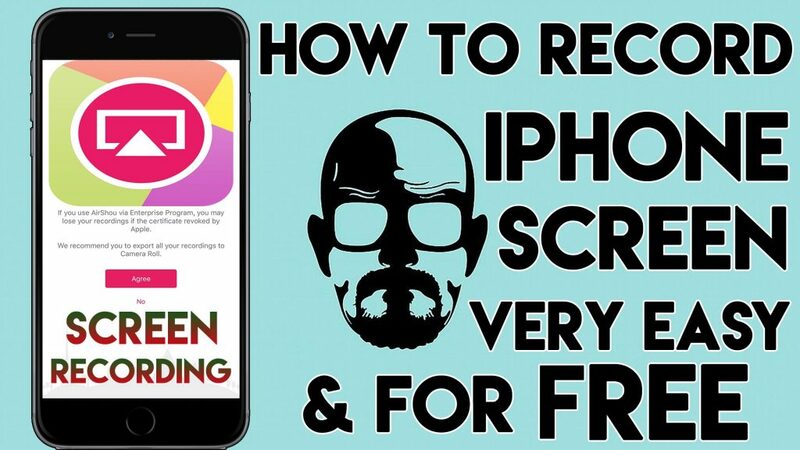 iRec is another widely used iOS Screen Recording tweak. It is compatible from iOS 7 though to iOS 8 and is developed by the developers of Emu4iOS. We covered iRec separately as well. Therefore, in this post we will only see how it fairs with iOS 9 devices. iRec records the screen of iPhone and ipad with iOS 9 without any apparent issues. However, just like Display Recorder, you cannot save your screen recording to stock photos app in your iOS device. Also, some users have reported that tapping the Recording button crashes the system. Best Cydia Tweaks for Screen Recording: Vidyo! Before we tell you anything about features of Vidyo! One thing that makes it standout above all is that Apple App Store has approved it. 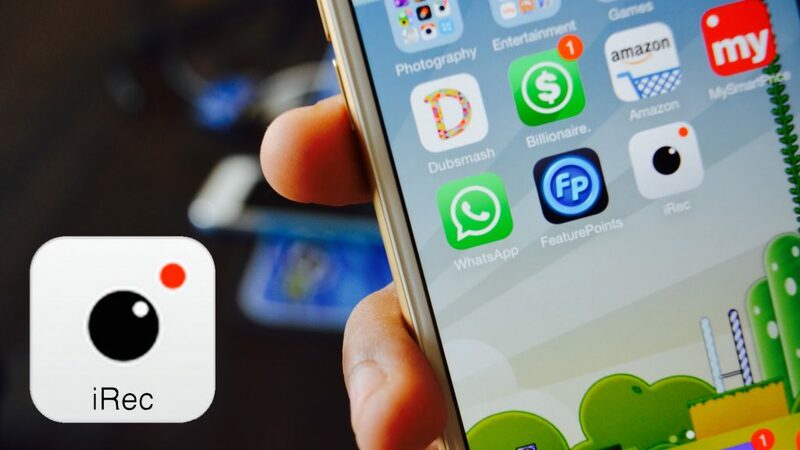 This is the one and the only screen recording app that has ever been approved by App Store. It comes with a price tag of $4.99 but being there on the App Store does says something about it. Mostly, screen recorder or any other recorder apps in general usually meet the same fate and get rejected by Apple. So, let’s see what makes Vidyo! special enough to get approved. If you don’t have a jailbreak and you don’t want to spend money, you can sideload it with Cydia Impactor on your non-jailbreak iOS device. This is a relatively new software tweak for screen recording and is especially meant for iOS 10. You can download CCRecord from BigBoss repo. When you download it, it installs right in your Control Center and then you can start the recording. Tap the recording icon again or swipe up the screen from the bottom to step recording. We have in this post assembled a list of some of the Best Cydia Tweaks for screen recording along with their prominent features. Now, you can compare and choose the screen recording tweak for your jailbroken iOS 9 or 10 that suits your needs. Moreover, at the end of this post we have discussed the screen recording solution for your iPhone with iOS 9 and 10 without jailbreak.